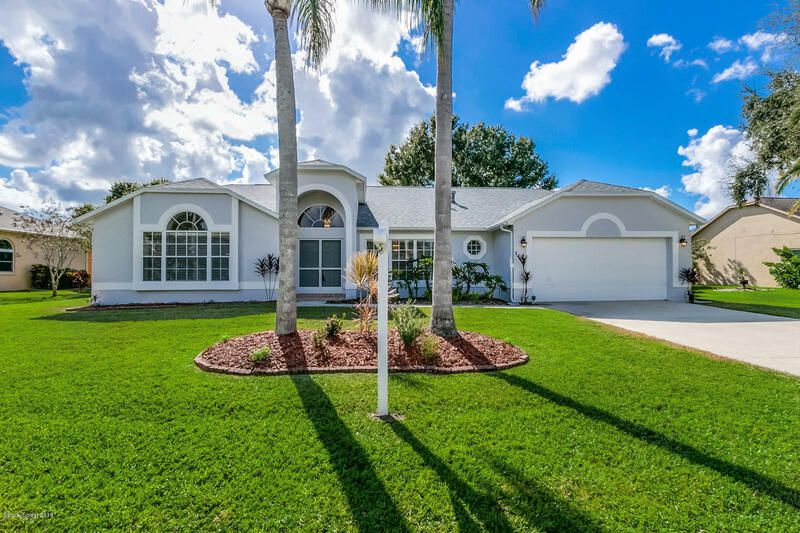 Wellington Station,Exceptional updated four bedrooms canal front Home.The moment you walk in the floors are 24'' porcelain tile throughout home.Beautiful!!. Updated eat in modern kitchen, open floor plan. Dining room, Living room, and great room . Large Master suite Master bath has been updated, jetted tub and shower. The three other bedrooms are separated from Master suite.Bedroom four has a pocket door that closes to create a guest suite with bath.Cover screen porch over looking the canal. Exterior recently painted.This is a must see. Imaculate home.